BOSTON, MA, Oct 12, 2010 (MARKETWIRE via COMTEX) — Prospects and customers demand more than a product list from their sales rep; they seek added value through consultative and problem-solving skills, with need-based conversations instead of sales pitches, and often desire a long-term relationship that survives the drying ink on the contract. In this environment, maintaining credibility, customer satisfaction and profitability requires ongoing attention to the skill sets of any company’s front line, in order to assure the highest degree of sales effectiveness in managing prospects through the sales cycle, according to a new research study on sales training published by Aberdeen Group, a Harte-Hanks Company (HHS 12.82, +0.12, +0.94%) . Sales Training: Deploying Knowledge, Process and Technology to Consistently Hit Quota, which examined 835 organizations’ sales effectiveness, found that 77% of sales reps in top-performing companies currently achieve their annual quota, compared to 35% for sales teams in other companies. Harvard Business Review columnist JD Schramm posted an interesting look at communication fear this week. It’s a topic I help clients with a lot in my work. I took the opportunity to post a response, providing some tips regarding videotaping that you might find interesting. For the article click HERE and, scroll down in the comments to see what I said. Then let me know what you think! Most likely in your business, there are skills that are intuitive and there are those that are hard won. The latter are the most challenging yet, they are critical to your success. Whitney Johnson tackles this issue in her latest blog entry on HBR.com. And I posted my thoughts on the relevancy of her writing to the work I do. Today, Harvard Business Review posted an interesting article on its blog site. It’s all about hubris. Specifically, how to deal with your own so that it doesn’t come back to bite you. You will see that I posted a comment, suggesting that hiring a staff that challenges you is a good way to keep your hubris in check. 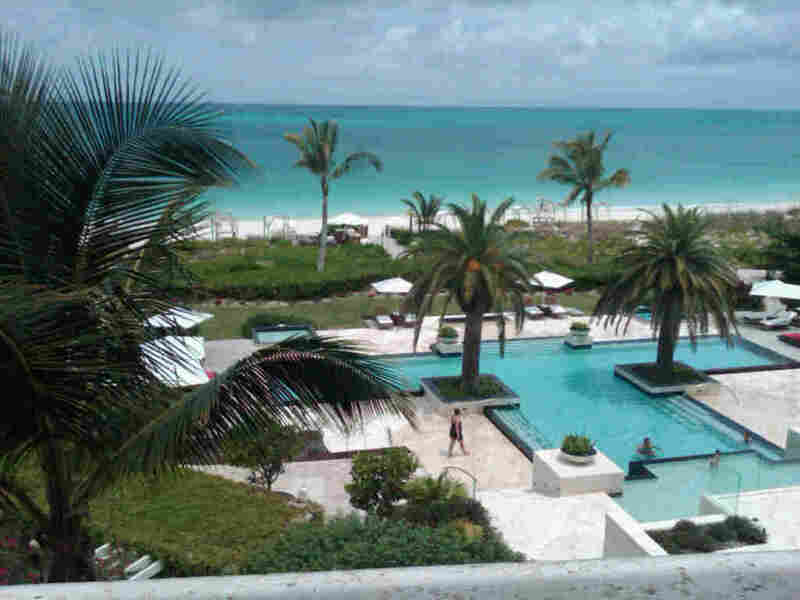 I just spent several great days with clients at The Grace Bay Club in Turks and Caicos. In speaking with the Chief Operating Officer, we got into the importance of everyone who works for and represents the property to be in one-voice when presenting it to guests or clients. We’ll be working together on synthesizing their value proposition then coaching their teams in the conversational delivery of it. A client of mine once said, at every meeting with a client you’ve got to reinforce your unique value or people will homogenize you with your competitive set. I deal with that every day and it is the foundation of what I work on with all clients. …for there is no growth without changing, correcting and questioning yourself. Marvelous, tough medicine for you and me. In my work in Executive Development and Sales Training, I have needed to self-correct and listen to the objective evidence to grow and develop. I always will. I encounter many different professionals with many different challenges. To advance in their companies, each faces specific developmental challenges to succeed. The success-link running through all my coaching interactions is a person’s trust in themselves to adapt and change when the objective evidence says so. This says easy, does hard. 02.08.10 What E-mail Mistakes Are YOU Making? http://giglioco.com/wp-content/uploads/2017/05/giglogo.png 0 0 Steve Giglio http://giglioco.com/wp-content/uploads/2017/05/giglogo.png Steve Giglio2010-03-28 13:49:472010-03-28 13:49:4702.08.10 What E-mail Mistakes Are YOU Making? I’ve just returned from a little New Year’s respite quite refreshed but also quite reminded of how memorable and impactful genuine service is. Cabo San Lucas Mexico is a beautiful place to chill; I discovered it’s also a beautiful place to observe first class service.With so much uncertainty and tension around us at home and globally it was great to be surrounded by people who understand the value of sincere service where your needs are preempted by savvy hosts. I relaxed within the first day, believe it or not! The fashion world is a mercurial one where you need to understand people’s desires well before you recommend any products. I’ve just worked with a team of very savvy retail salespeople who represent high end jeans and other upscale garments. Their clients are Buyers and the actual designers. It is essential with jaded Buyers (clients) to control each meeting. An agenda, often an overlooked or thought-of-at-the-last-minute too, can put you in control and help gain you the results you want. Get agreement on the agenda. This puts you in control of the meeting and avoids the “meet-the-press”/”firing line” environment that so many meetings turn into. I just returned from my Singapore Training with American Express refreshed and possessing as vibrant a pace as Singapore itself! The vibe there is one of collaboration and deal creation versus recession and doubt. Three’s a great “Buzz” there that is infectious. It is really a powerful hub of Asia/International commerce. My clients were motivated by partnering with their clients in a refreshing, “out-of-the-box” fashion. Their passion for driving cooperative conversation before presenting their recommendations was laudable and the right solution for today’s business world everywhere.